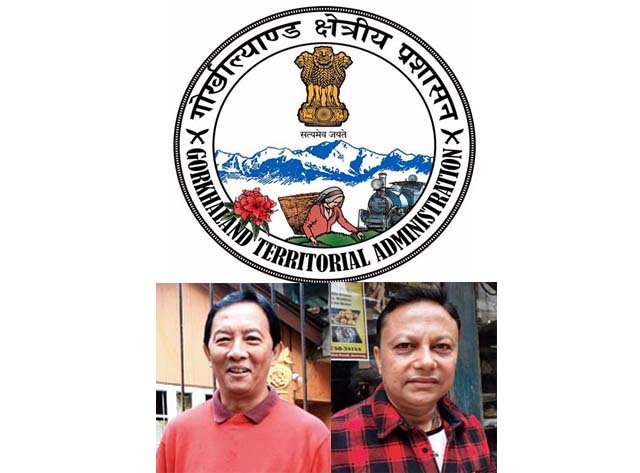 Darjeeling: The rebel faction of the Gorkha Janmukti Morcha has informally agreed on division of work with Binay Tamang concentrating on administration and Anit Thapa looking after the organisational activities. Sources in the rebel camp said there had been an informal consensus on the need to make a distinction between the leaders who would look after the GTA and those would be given full charge of political activities. "Tamang will not speak at each and every public meeting of the Morcha. It has been felt that in the past, the leaders had spoken a bit too much than what was needed. Too many public comments at times came as an impediment to achieving a lot of things," said an insider of the Binay-Anit camp. By "leaders", he was actually referring to Morcha chief Bimal Gurung. Many leaders in the rebel camp have complained that Gurung used to make announcements on many occasions without even discussing the same with other leaders. Alok Kant Mani Thulung, a core committee member of the rebel camp, also echoed a similar sentiment. "We in the Morcha believe a new system has to be worked out where those in the GTA should be asked to concentrate on the administration while those looking after the organisation activities should take care of party affairs." The Mamata Banerjee government has appointed Tamang and Thapa as the chairman and the vice-chairman of the board of administrators of the GTA. In the past, the person who used to call the shots in hill politics took care of both the administration and his respective party. When Subash Ghisingh's writ ran in the hills, he had a complete grip on the GNLF and the DGHC. Later, Bimal Gurung ran both the GTA and the Morcha together. The Tamang camp has decided to hold a public meeting at Darjeeling Motor Stand on November 19 where Thapa will be the main speaker. Satish Pokhrel, the convener of the Morcha's Darjeeling subdivisional committee, said leaders and supporters from 20 GTA constituencies in the subdivision would attend the meeting. He said after the Darjeeling event, the Morcha would hold a meeting at Mirik also. The rebel faction of the Gorkha Janmukti Morcha has informally agreed on division of work with Binay Tamang concentrating on administration and Anit Thapa looking after the organisational activities.